Nerai Restauraunt in New York City’s Midtown announced that it will donate an entire day of sales to wildfire relief efforts in Greece, adding itself to a long list of diaspora businesses and organizations that have also supported the cause. Owner Spiros Menegatos said his restaurant will host a “Dine Out for Greece” fundraiser all day Saturday in light of the “magnitude of the devastation” he saw taking place in his ancestral homeland. All funds raised from the event will go to the Greek Red Cross via the Chicago-based Hellenic Leadership Council’s Greece Wildfire Relief Campaign, which has already raised nearly $188,000 in humanitarian aid. 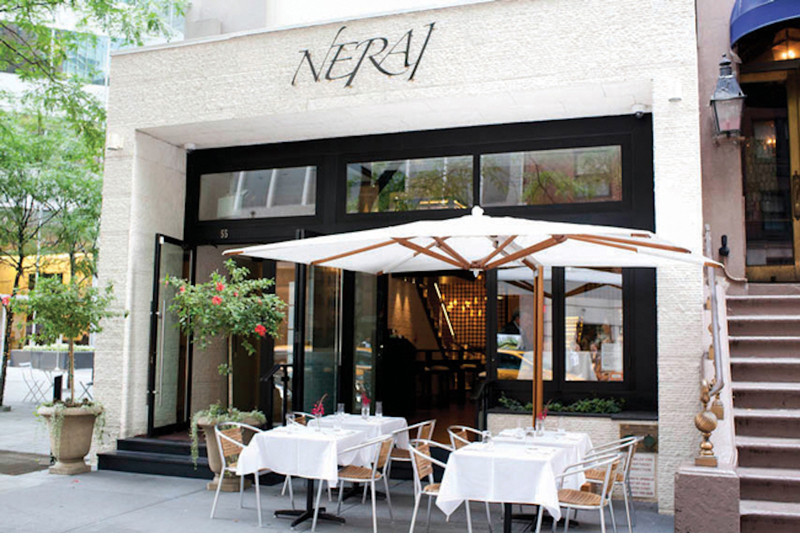 Nerai is located in the heart of Midtown on East 54th Street and has quickly become one of NYC’s “go to” Greek restaurants. Offering a twist on traditional Greek fare — and definitely a step or two up in sophistication — the restaurant’s chef Moshe Grundman preps some the best food in the city for a packed house on a nightly basis. Menegatos has led successful fundraisers for Greek causes in the past, including an event at which he raised almost $40,000 for an Athens-based cancer charity.